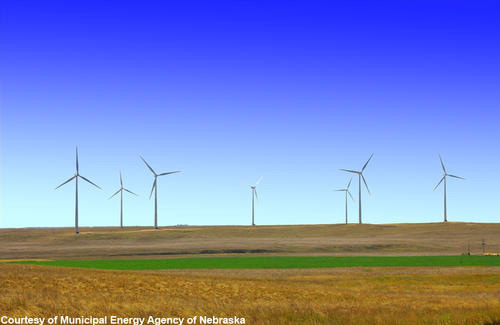 With some significant wind farms recently coming on line and others in the works, Nebraska is on track for more than 1,300 megawatts of wind energy capacity by 2017. That’s still far below that of Iowa and many other states, but it’s nearly triple what Nebraska had just two years ago, said John Hansen of the Nebraska Farmers Union. “It’s the biggest development spurt we’ve had, a significant amount of additional wind power,’’ said Hansen, whose organization co-sponsored the eighth annual Nebraska Wind and Solar Conference . . . Representatives of the state’s major public utilities Thursday touted their recent efforts to boost their renewable energy portfolios, spurred in part by anticipation of the emission limits contained in the Obama administration’s Clean Power Plan. 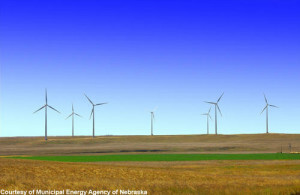 This entry was posted in Nebraska / Midwest News, NewsBlog and tagged Henry J. Cordes, LB 423, Nebraska Wind and Solar Conference, Nebraska's renewable energy development potential, Nebraskans for Solar, The Omaha World-Herald, wind and solar energy development in Nebraska on November 6, 2015 by Helen Deffenbacher.